Made and assembled in the USA, LeadFreeFaucets™ are available for any RO or carbon filter Point of Use (POU) drinking water systems. 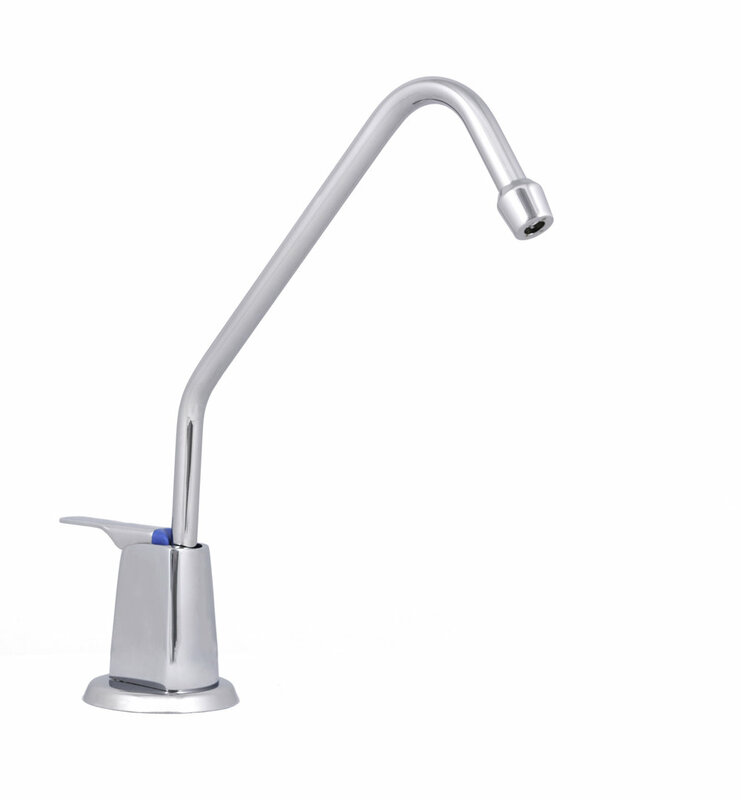 Ask your filtration system installer to upgrade your accessory faucet to a LeadFree Faucet. Click on an image to view more options. The Monarch Series features quality 1/4 turn ceramic valves. Available in cold only, hot only and hot & cold. 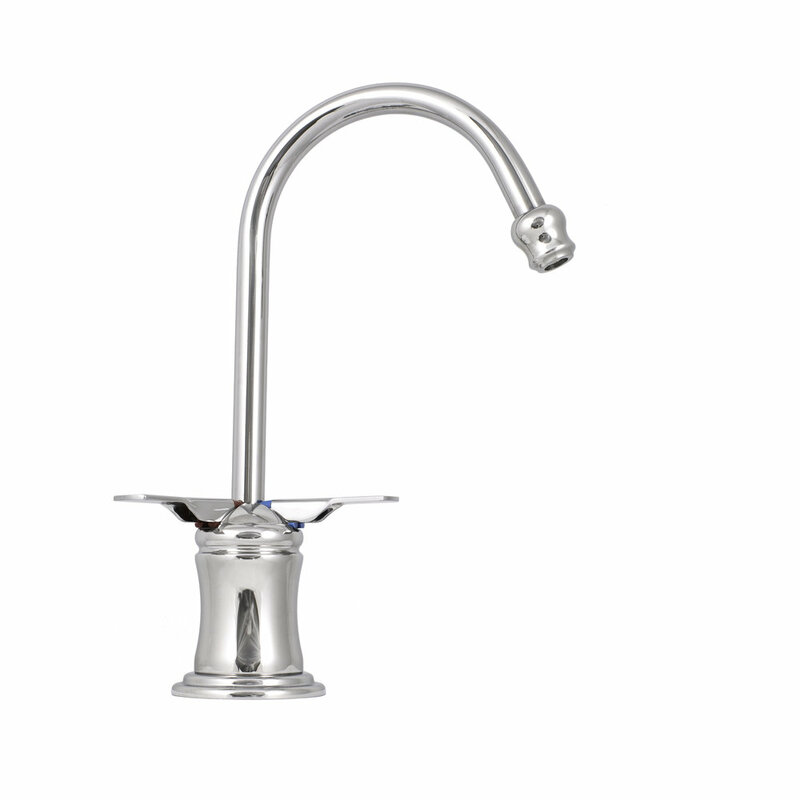 Choose from a standard J-spout or upgrade to a beautiful Victorian Spout. 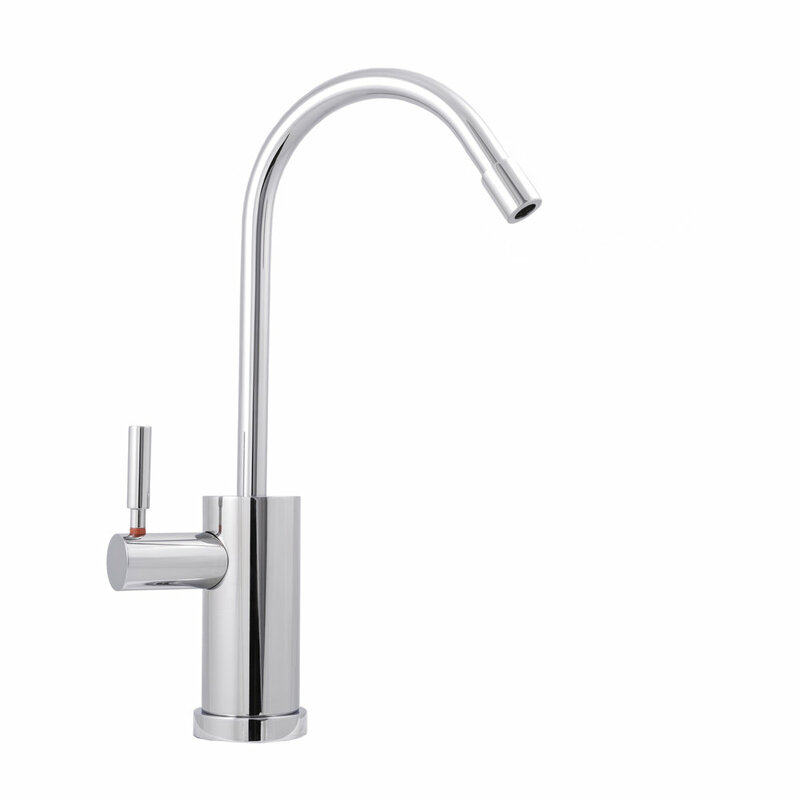 All faucets in this series are available in the following finishes: polished nickel, satin nickel, chrome, satin chrome and weathered copper. 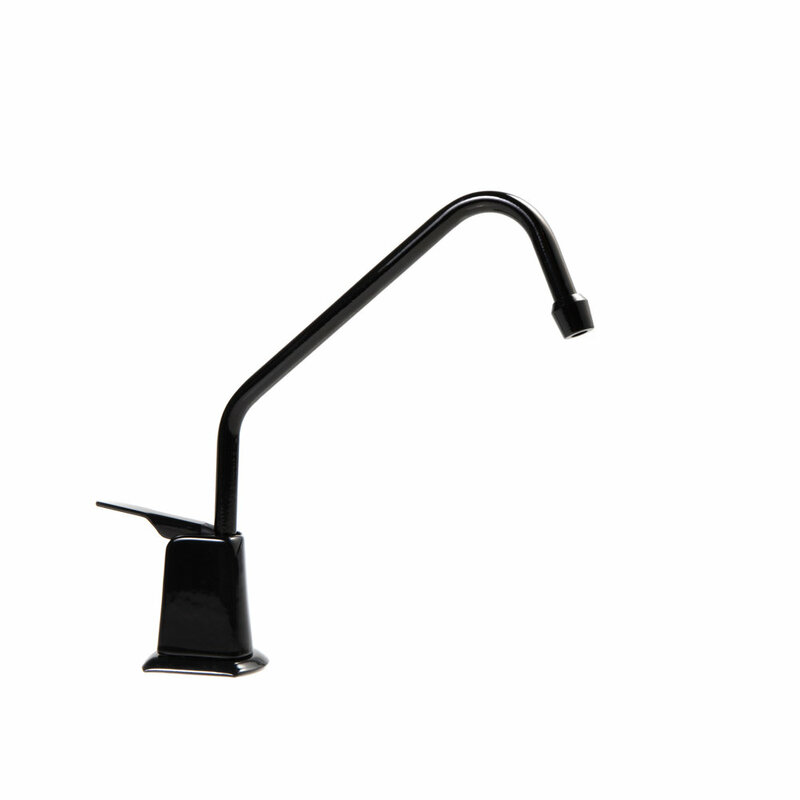 The Liberty Series is another declaration of design independence by LeadFreeFaucets. This revolutionary leader rings in a new era of aesthetic freedom for cold-only, hot-only and hot/cold systems. 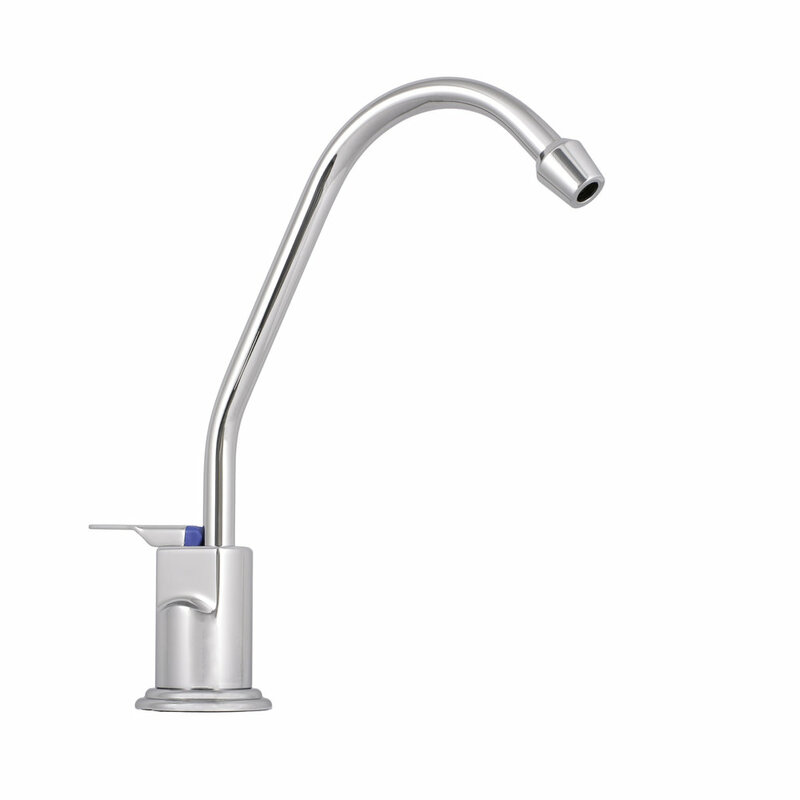 For maximum compatibility, Liberty is offered in carbon filter, integrated Reverse Osmosis (RO) and separate RO models. There's also a smaller version, the Liberty Belle, for cold-only applications. 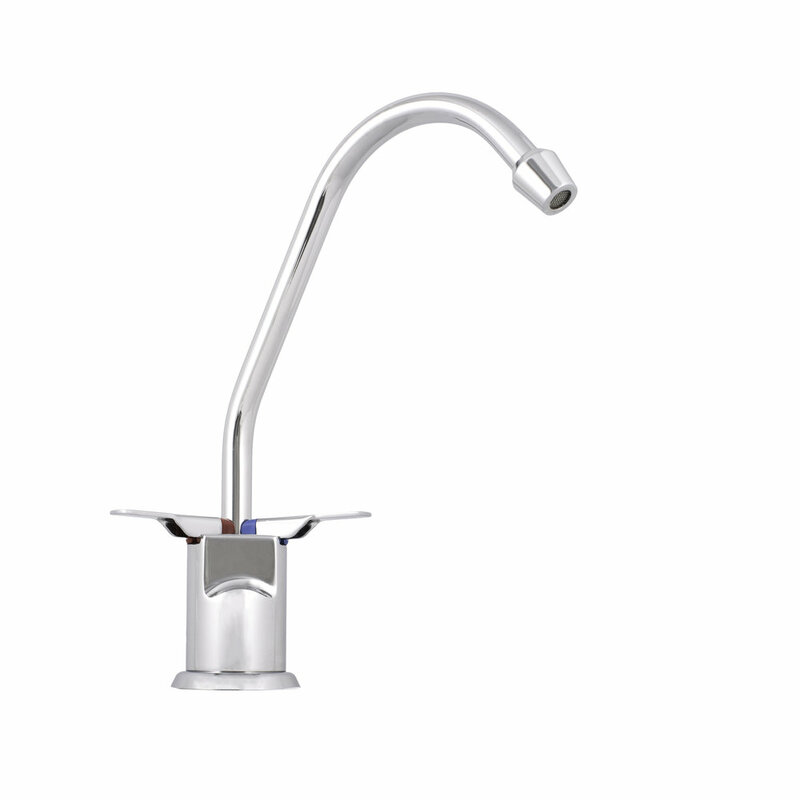 The LeadFreeFaucets original that brought design sensibilities to the sink-side still leads the way in a full array of finishes for cold-only carbon filter or integrated RO systems. The Modern Series features quality 1/4 turn ceramic valves. Available in cold only, hot only and hot & cold. 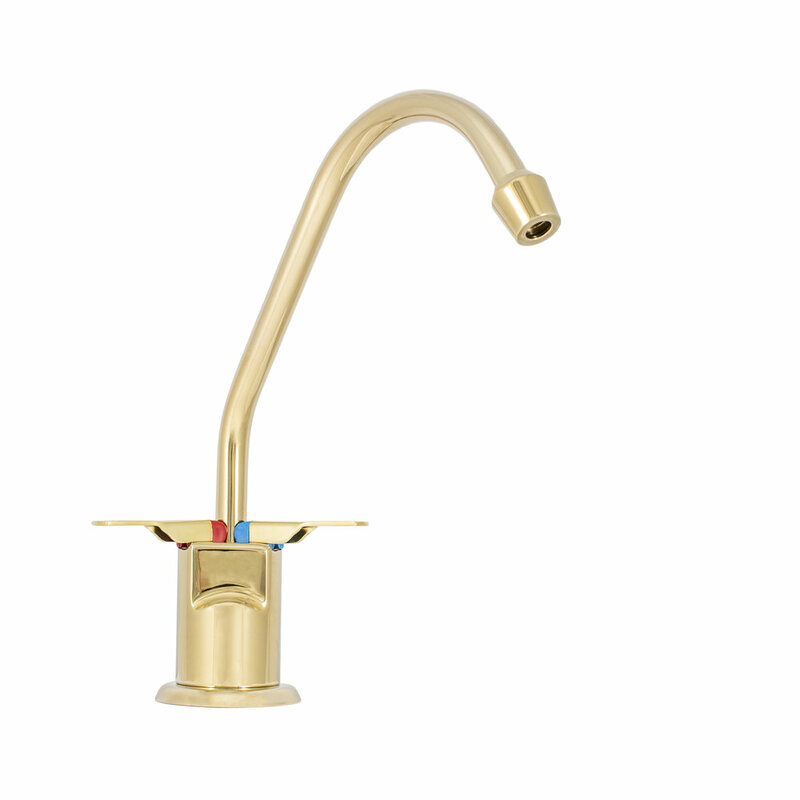 Choose from a standard J-spout or upgrade to a beautiful Victorian Spout. 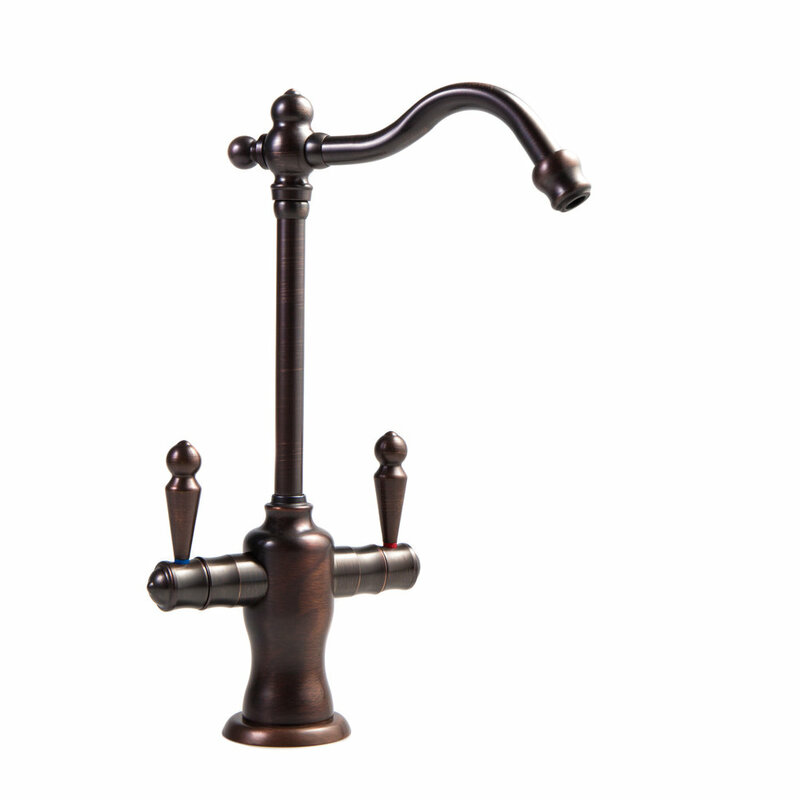 All faucets in this series are available in the following finishes: polished nickel, satin nickel, chrome, satin chrome, weathered copper and oil rubbed bronze. 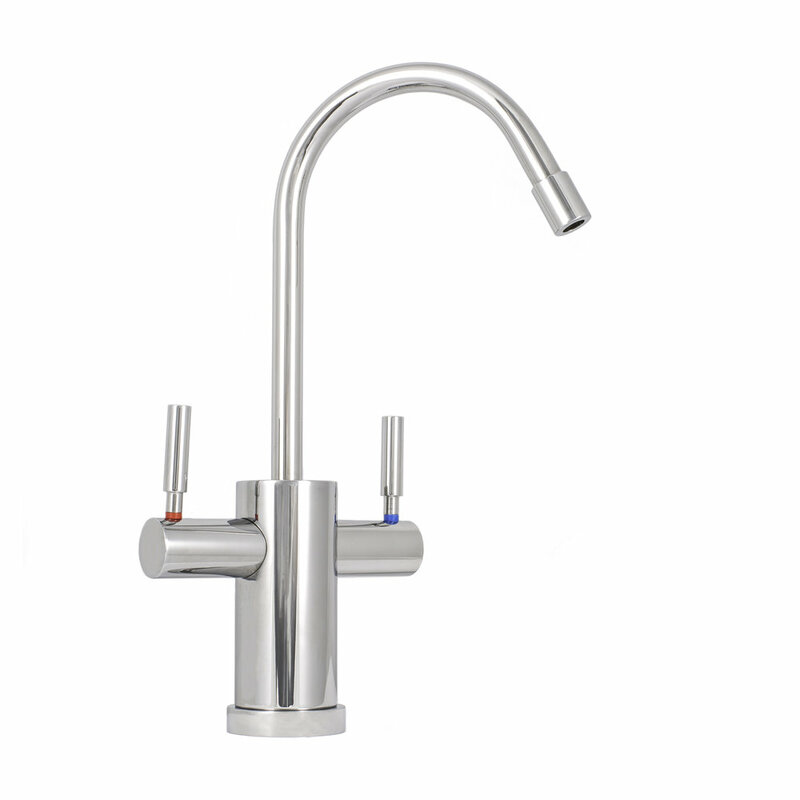 The crisp, clean lines of the Elite Series are compelling in any finish for cold-only, hot-only and hot/cold systems. For maximum compatibility, the Elite is offered in carbon filter, integrated RO and separate RO models.